Writing a Will protects your loved ones. It is, therefore, one of the most important things that you can do for your family. Can be a means of reducing the inheritance tax payable on your estate. A Will is a legally binding document. It sets out how you would like your estate to be distributed on your death. Your Will can specify who will inherit and what they inherit. Your Will can offer comfort to your loved ones, knowing that you took the time and trouble to protect them with a Will. If you die without making a Will, then you die intestate. Your estate is distributed in accordance with intestacy rules. The intestacy rules are not flexible. They probably will not reflect how you would have left your estate if you had made a Will. The intestacy rules dictate who will inherit from your estate. Your unmarried partner will not inherit. only a partner in a married or in a civil partnership relationship inherits under intestacy rules. The intestacy rules mean that your relatives will inherit according to a strict order, set out in legislation. This may mean that a wealthy relative will inherit your estate rather than your partner or a deserving close friend or charity. You may view your stepchildren as your relations. However, under intestacy rules they would get nothing as they are not biologically related to you. If you have no blood-relatives, your estate will go to the Crown. Not having a Will makes a devastating time for your family just that bit more difficult. Having a Will in place, and ideally discussing the contents with loved ones, gives peace of mind at a stressful time. It is particularly important to make a Will if you are in an unmarried relationship or have stepchildren that you want to leave a legacy to. With a family business, it is not only your family who rely on you. Your family and your employees will be looking for financial security. 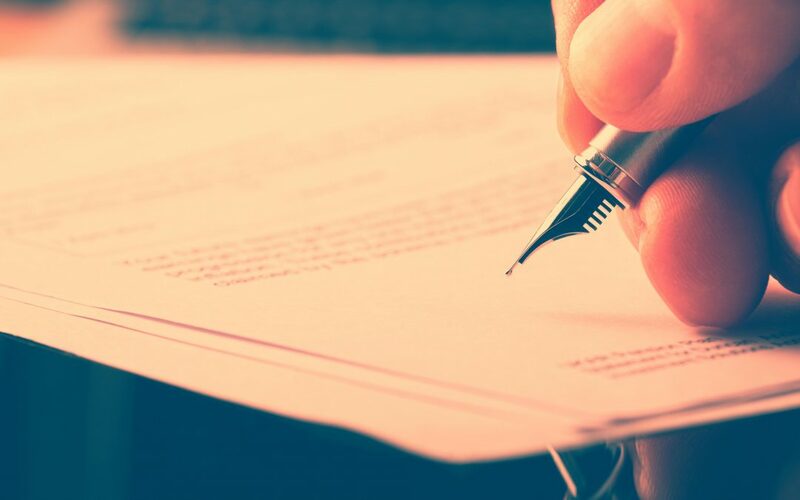 A will, and if appropriate, a shareholder agreement or cross-option agreement, will help provide business continuity until the business is sold or transferred to your chosen beneficiary or other business shareholders as part of the cross-option agreement. You can appoint a testamentary guardian in your Will for any child under the age of 18. Although other family members can bring a court case to say that they want to look after your child, the appointment of a testamentary guarding is compelling evidence of who you thought would be the best person to bring up your child. Placing money in a discretionary trust so that your child is protected from potential future claims, for example, by an estranged spouse. Writing a Will can help to reduce the amount of inheritance tax payable by your estate. If you leave all your estate to your spouse or civil partner, there is normally no tax to pay. There are other ways that you can reduce the amount of inheritance tax that your estate would pay. Evolve is one of the first law firms to publish a price guide and fixed fees for Wills. If you want a straightforward Will, the cost is £180. The are no hidden extras. The price includes VAT. If you want an identical Will with your husband or wife the cost for both Wills is £240. This includes VAT. Evolve can check and review your existing Will for you. It is sensible to get your Will checked because family and personal circumstances change or your Will may no longer be as tax efficient as it could be. If you have complex finances and businesses, and need in-depth advice on trusts, estate planning and tax or on domicile then call us for a bespoke quote.